What an amazing story. The Author has done a wonderful job in the detail and background of the characters, and Logan West is the ultimate fighting machine. There are plenty of action scenes, and I quite enjoyed the plot. 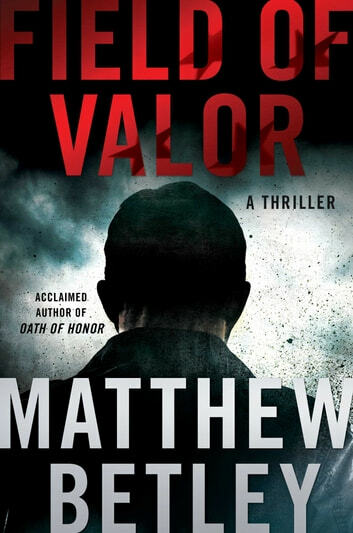 It just never lets up, which is one of the things I love about Matthew Betley’s books. He certainly knows how to entertain. Lau Han wanted revenge for his son’s death, more than anything else in the world, and he was sure Logan West was the man responsible. Logan spent years overseas in the military, and he normally knew who is enemy was. Now the President has given him the mammoth task of finding a different enemy, and they are going to be a lot harder to find and defeat. Luckily Logan has an incredible team of amazing operators that are very deadly in their own right. However, Logan is scared of losing one of them, as he is still haunted by the death of his friend Mike Benson. Logan manages to get his hands on the list that has every member’s name on it, belonging to the rouge group that they are hunting down. He’s just got to work out who he can trust, and stay alive at the same time. A very good story from start to finish. If you enjoy Action Thrillers, then you will love this book.